In 1887, following a decision of Council, Phil Trans had been expanded and divided into two separate publications: one serving the Physical Sciences (Phil Trans of the Royal Society A: Physical, Mathematical and Engineering Sciences) and the other focusing on the life sciences (Phil Trans of the Royal Society B: Biological Sciences). This separation of disciplines was applied to the Proceedings some time later in 1905. In 1923, therefore, there was a clear distinction between biological and physical sciences, reflecting and contributing to the specialisation of science over the last half-century. Another ongoing change in 1923 was evident in the publishing of the Phil Trans. The journal had been published by the Royal Society, since 1752, when the Society took over official responsibility for the Journal; but by 1923 the journal was being both printed and published by the London firm of Harrison & Sons, who had taken over the printing from Taylor & Francis in 1878 (and would retain the contract until 1937). If you were an author in 1923 attempting to submit a paper to the Phil Trans, not much had changed since 1873 in terms of the process of submission. Individuals who were not themselves Fellows were still required to have their papers communicated by someone who was. This usually (though not always) involved an intending paper for publication being read at one of the Royal Society’s weekly meetings. The paper then became the responsibility of the Committee of Papers who assigned it to a relevant Sectional Committee. Sectional Committees in 1923 included: the Mathematics Committee, Physics Committee, Chemistry Committee, Engineering Sciences Committee, Geology Committee, Botany Committee, Zoology Committee, and Physiology Committee. These Committees met together monthly to consider several recently communicated papers and made a decision on their fate that was brought before Council for approval. They mark a change from editorial practice in 1873, though the system had in fact been in place between 1838 and 1848 (but was abolished due to claims of favouritism in selecting papers). Perhaps what was more novel in 1923 was the impact of specialisation, authors now having an expectation about whether their paper would be printed in series A or B, based on their area of interest and expertise. Authors also had the assurance that their paper would be under scrutiny by individuals with particular knowledge of their field. James Hopwood Jeans (1877-1946), mathematician, and secretary to the Royal Society 1919–1924. The role of the secretaries in all of this is ambiguous. 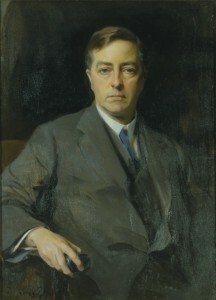 The two secretaries in 1923 were biologist William Bate Hardy (1864–1934) and mathematician James Hopwood Jeans (1877–1946). In this case, their respective fields of expertise mapped onto the now physical and mathematical centred Phil Trans A and the biological focused Phil Trans B. As secretaries and members of Council they were present at Committee of Papers meetings (which consisted of Council members). It is also likely that they received the reports of the individuals appointed to review particular papers, as was the case in 1873. By this date, however, referees were obliged to fill in a standardised form (rather than produce a free flowing letter) in an attempt to provide succinct and more efficient reports on papers. The first question asked on the report was: ‘whether the paper should or should not be published in the Phil Trans’. In this sense, the secretaries’ role (which previously involved reading referees’ often lengthy letters) was transformed by the ostensibly refined system of short reports. The extent to which Jeans and Hardy were proactive in influencing the content of the Phil Trans is a question that requires further consideration. By the end of 1923 more questions were raised about managing the publication of Phil Trans, but this time they were related to its income and expenditure. The costs of publishing Phil Trans in this year exceeded the sales income by £263 1s. 6d. If we take into account the Society’s other publications, namely Proceedings and Miscellaneous, as well as the commission allowed on these (10% of sales), we find that in 1923 the Society’s publications as a whole showed a deficit amounting to £3586 18s. 8d. The deficit on publishing Proceedings (a total of £3118 17s. 0d.) was clearly much higher than that from Phil Trans’. The good news was that the total general income of the Society, apart from publications, was in surplus by £521 16s. 2d., though this was not enough to subsidise the Society’s publications. 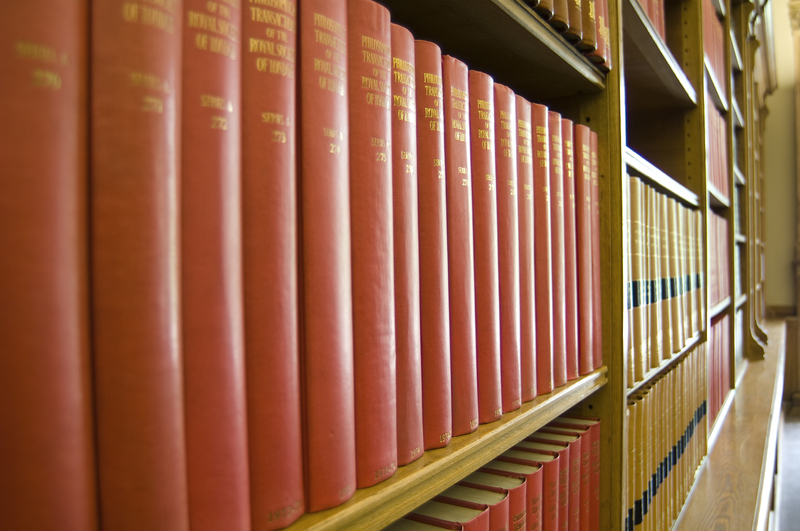 The publications deficit was made good by £527 available from the Publications Fund plus the decision by Council to transfer the remaining imbalance from the Messel Bequest Fund to meet the loss. 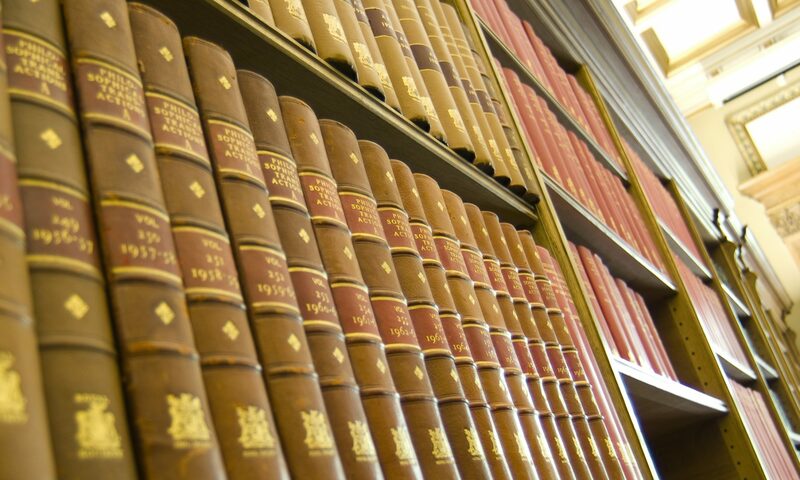 The increasingly commercialised nature of scholarly publishing in the twentieth century informed the Royal Society’s policy to provide a publication that was both scientific and economically sustainable and, even, profitable. 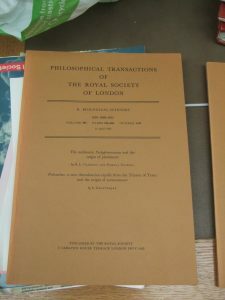 In 1973, the Phil Trans was still printed by Cambridge University Press (since 1938) and (once more) published in-house. In a significant change from 1923, Phil Trans was now a profit-making journal. Publication sales exceeded the printing, paper and distribution costs by £49,920. 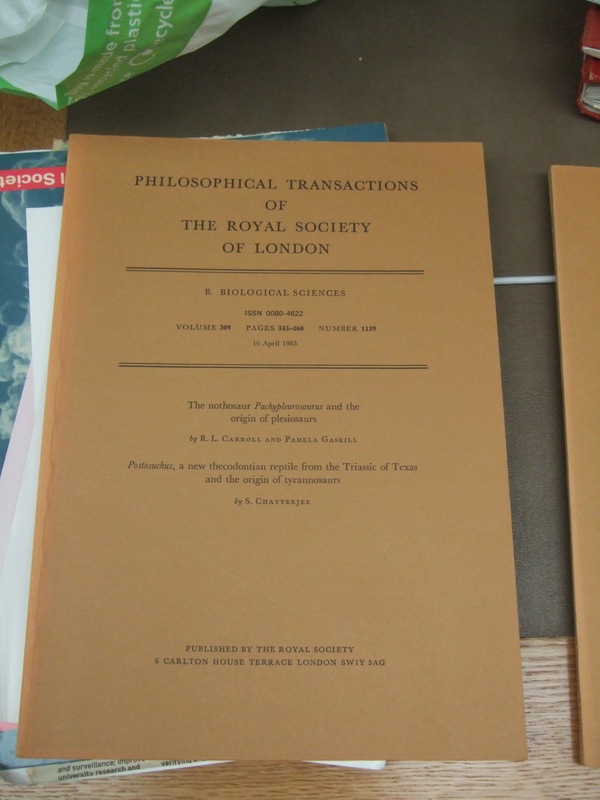 A subscription to Phil Trans was £19 per volume in 1973, and there were 1014 subscribers to series A (mathematical) and 622 subscribers to series B (Biological). For one-off purchase of a single paper or issue, the cost varied according to the length of papers. There were various attempts to maintain and extend the relatively new-found profitability of Phil Trans. A Royal Society Committee formed in 1973 to consider the Society’s finances, and particularly the Society’s publication activities, suggested that a strong appeal be sent to fellows for more papers to be submitted. In addition, the Committee considered that the number of free copies of papers to authors be reduced to fifty (from the previous 100 free copies) and the price of additional offprints purchased by authors be increased by at least 50%. This strategy had previously been briefly implemented in 1956. In 1973, it was estimated that these reductions in offprint numbers would produce a saving of approximately £5,000! Of the 4721 questionnaires distributed only 71 replies were received. At this time there were also growing concerns about access, both in terms of content being too specialised for a general readership, and in terms of the obstacles some felt existed for intending authors, owing to the high prestige of the journal. Despite this concern, in 1973 the acceptance figures for papers submitted to the Phil Trans was relatively high at an average of 82%. Yet, since the late nineteenth century when the number of scientific journals expanded, the Phil Trans was competing with other learned society and commercial journals. If it was to hold its prestigious position, those administering the journal at the Royal Society believed that the journal needed to maintain a leading position among scientists publishing in very specific fields of study. This concern with attracting authors was combined with the idea that in order to capture a wider readership authors should be requested to introduce their articles at a ‘lower level’ i.e. to make them more suitable for the ‘layman’. The wider distribution of the journal was also an impetus for the suggestion to allow Phil Trans A to adopt ‘selective subscription’ for readers in the United States i.e. for the journal to be divided into subject categories and for American readers to be able to subscribe to the relevant part. This was deemed inappropriate and detrimental after a survey of over 4000 American subscribers and non-subscribers highlighted limited support for this change. The responsibility for refereeing papers and recommending publication in the Phil Trans was by 1973 removed from the various sectional committees, operating since 1896. The two secretaries, at this time, Harrie Steward Massey (1908–1983) (physicist) and Bernard Katz (1911–2003) (physiologist), were assigned a group of associate editors to assist them, each of whom was a Fellow of the Society. The editing of Phil Trans was thus administered in 1973 by twelve associate editors on each series (A and B). Publishing the journal was more than ever before a process performed by different individuals with varied interests and expertise.